Call avoidance. It was a problem in 1997, 2007, and most assuredly is still a problem in 2017. Today, sales leaders are battling rep reluctance, generational preference, and vendor “thought leadership” blasting the phone as antiquated. This is both an easy sell and entirely wrongheaded. Great SDRs, great AEs, and great leaders have grit. Cultivating grit requires embracing tension, encountering pushback, and experiencing confrontation. 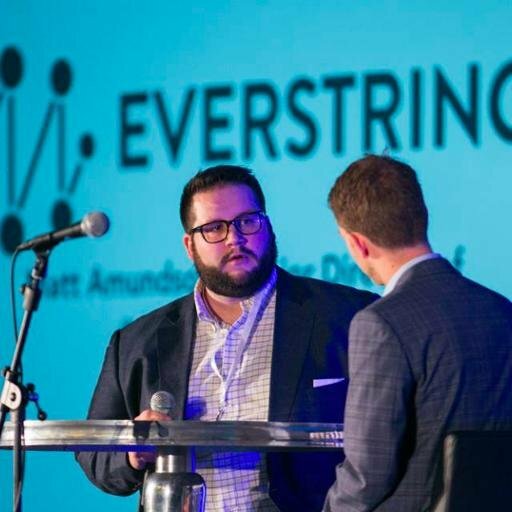 That’s why I’m happy to share this tongue-in-cheek post from Matt Amundson, VP of Sales Development and Field Marketing at Everstring. Mastering the phone is an out-of-the-box skill of exactly no one. Which is why it is so important that leaders help their teams develop these skills. Without further ado, here’s Matt. You know when you read something and it really sets you off? Something you disagree with so deeply that you can’t help not responding? That happened to me when I ran across Emails Only Please - 10 Reasons Why Phone Calls Are a Waste of Time shared on LinkedIn as a reason to not make sales calls. Let me save you a click and offer my rebuttal. 1. Phone calls demand immediate responses. Of course they do, and that’s the best part. Having a live conversation allows for real-time thinking, objection handling, and SELLING. Yes, selling, the lost art of having a conversation about a business challenge you can address. If either party needs to step back or do research then all they have to do is say so. That makes the next call even more valuable as both parties are fully prepared with information that is “specific” to their last conversation. When over-relying on email, too many assumptions are made and too many generic answers are provided. 2. You can’t go back and review phone calls later. There are amazing technologies that record calls and use artificial intelligence to provide analysis. You can even tag parts of the conversation you want to refer back to. With email you have to read through long threads. Yuck! 3. It’s far more difficult to batch phone calls. Not in my experience. There are two ways to do this: good old-fashioned time management and/or use technology. What’s more, bunching like calls together makes each subsequent call better. Every stumble, pushback, or win makes you smarter for your next dial. There is nothing that enhances productivity more than having your sellers having real conversations with your buyers. 4. Phone calls are an awkward dance of silence and interruptions. I’ll give you that one. But so are first dates. That’s no reason to avoid them. Selling over the phone is a skill that has to be honed and practiced. Having horrible calls is how we learn. There's miles of difference in meaning between “maybe” as email reply and how a prospect says “maybe” during a live call. 5. Phone calls cause existential overhead. I’ll be honest, I had to look that one up. The best definition I found was “distraction and stress from uncompleted tasks.” The theory goes if you have a call scheduled at 3PM, apparently that scheduled call will hang over you all day long and tax your productivity. While with email you can work through at your leisure. Huh? A phone call has an agenda and desired outcome. Email is like your worst nightmare. You drop it into the void and then…. wait. I’ll take the stress of 100 scheduled sales call over 100 unreplied emails any day of the week. 6. Phone calls kill productivity and work flow. 7. Can’t hear or understand the person speaking? Too bad. Yes, bad connections are a real thing. Landlines, cellphones, and telephony can let us down. But email isn’t black and white. Beyond getting caught in spam filters or being lost in the flotsam and jetsam of inboxes, it’s easy to make a typo, misstate, or otherwise be unclear with the written word. Let’s face it, most reps aren't Hemingway. Phone = plays to reps’ natural strengths. 8. Phone calls don’t allow as much flexibility as email. 9. They necessitate small talk, the biggest time waster known to man. Building rapport is not a time waster. Building rapport has led to million dollar deals. Showing empathy and understanding your prospect's professional dilemmas (and in some cases their personal dilemmas) is a great way to develop a champion within an organization. One day that champion just may help you get a deal across the finish line. I’d argue they’re actually far more efficient. Each party stays on topic and can deal with the issue at hand. There is no need for guesswork, translation of tone, or missed action items with multiple recipients. Parting thoughts for those new to sales (and their managers). As automation and AI continue to make email seem more and more life-like, sales professionals must do all they can to 'prove' they are human beings. The best way of doing that is to communicate through channels that these systems cannot. The primary channel for B2B personalized outreach has been and will always be the phone. Don't fall victim to believing marketing and sales tech can replace the power of one to one human connections.